Written by Tim Reilly and Kun-Chin Lin. One of the most important questions regarding UK-China relations in the context of Brexit has been the UK’s relative value for China’s realigning strategies toward the EU and US. Having been China’s most consistent supporter in the EU in recent years, the UK had hoped to convert this political capital into an early free trade deal, or a bilateral investment treaty, which would provide leverage in the UK’s own negotiations with Brussels. On the surface, there appeared to be good reasons for Beijing to play along, given the increasing political uncertainties in the European bloc as well, as the recently resurgent special relationship between the UK and the US. However, China’s actual commitments have been more modest, mainly limited to engaging in financial sector cooperation and liberalisation (such as the London-Shanghai Stock Connect), London banks underwriting “panda” bonds, and London operating as an RMB clearing hub. In truth, China’s Brexit card is more powerful than the UK’s China Card, thus China is awaiting a golden window of opportunity to maximise their leverage, following the triggering of Article 50 later this month. The EU appears to be the loser in this unfolding game. After voting against granting China “market economy” status the EU has prompted Beijing to launch a WTO case against it (and the US), in essence for failing to honour the pledge made in 2001 upon China’s accession. An additional consequence is that Chinese leaders are now thinking outside of the region about how they engage with the world. They are facing a once-in-a-generation opportunity to shift the geopolitical tectonic plates beneath what they perceive is the crisis of the Western global order, starting with the 2008 financial crash, and in its latest political manifestation – the Brexit decision and Trump’s election in 2016. Chinese President Xi Jinping recently captured the moment with his assertive defence of economic liberalism and Chinese leadership at Davos in January; his domestic constituency is voluble and vibrant too, with proposals for a greater global role for China in response to the increasingly inward-looking orientation of the EU and the US. To date, the strategic value of the Russia Card in UK-China relations has been neglected or misunderstood in the above context. Either Russia is deemed to be a European and American problem, or a reluctant economic and political ally of China, whose faithfulness might be tested with Trump’s overtures (which seems increasingly unlikely from prevailing sentiments in Washington DC). What we would like to explore here is the prospect for the formation a strategic quadrangular partnership of the US, the UK, Russia and China over the next decade. In other words, the finding of a common ground to re-engage Russia in Europe to the benefit of all four parties’ key economic and strategic priories. In 1995, the Council on Foreign Relations published The Strategic Quadrangle: Russia, China, Japan, and the United States in East Asia, focusing on the collective challenge of “coaxing China into a constructive, partnership”. It is now Russia that is the focus of such an aim and potential, eventual, partnership. Our arguments will proceed in three parts: firstly we examine the UK’s incentive for re-engaging with Russia; secondly, China’s incentive for adding Russia to its post-Brexit European strategy. In light of major constraints on Russian foreign policy in Central Asia and the Far East, we argue that Moscow is likely to take seriously opportunities to work with the UK in opening up long-term, green field economic opportunities in maritime trade and energy; thirdly we postulate that under these emerging circumstances, the United States may then contribute to this convergence of British, Russian, and Chinese interests in/across Eurasia, with a strengthened US case domestically, to suggest a limited relaxing of certain industry sanctions in specific region(s) of Russia, which would benefit all four states; this could be looked upon as either a fledgling pilot concept for Eurasia, and/or a confidence building measure (CBM) between Russia and the UK/US, and between China and Russia. In this emerging strategic quadrangle, the UK already offers critical advantages in large-scale energy, infrastructure, and financing projects – as well as a greater geopolitical flexibility (than the EU) in brokering win-win economic relations for China, the US, and Russia, at both bi-lateral and regional (Eurasian economic space) levels. A key UK interest in engaging with an EU-sanctioned Russia is to maintain stability and predictability across the Russian/Eurasian landmass. 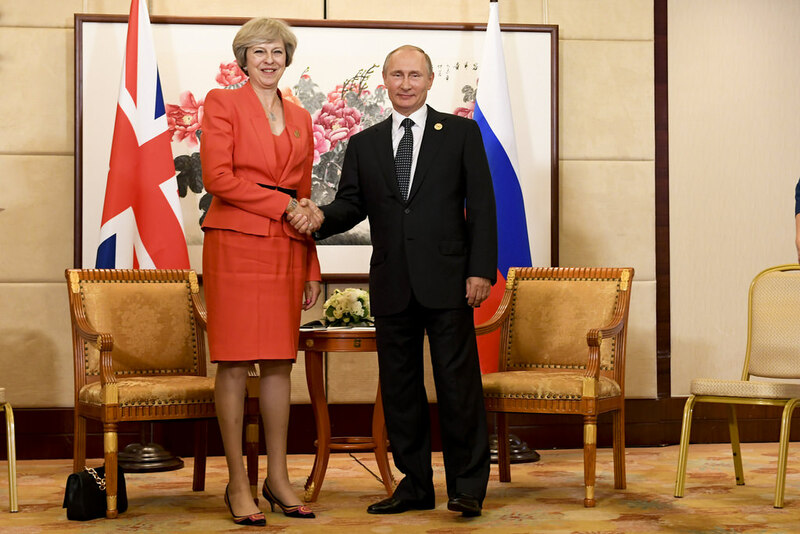 The importance of this for the UK, post-Brexit, is underscored by President Putin’s ongoing economic pivot to Asia, and its timely coincidence with Prime Minster May’s doubling down on Chinese capital and the pursuit of the Chinese market, both significant factors in Britain’s future economy. Originally President Putin had developed the Eurasian Economic Union (EEU) – consisting of Kazakhstan, Belarus and Russia, as both an “internal” market integrator in the post-Soviet space, and a consolidator of its geostrategic role as the gateway and gatekeeper for EU-Asian interactions in the Eurasian landmass (principally the “Stans’”). However, since 2015 it has become increasingly obvious that Russia has neither the resources nor the degree of conceptual operationalization that China has in the Belt Road Initiative (BRI). In the short term Russia has allowed the PRC to take the lead in the merged EEU-BRI Eurasian infrastructure/trade route venture. Thus UK trade with Asia/China is to some extent contingent infrastructure-wise, on stable Sino-Russian economic relations across Eurasia, and a working relationship with Russia itself. On the 18th January 2017, the first freight train from China arrived in London after passing through the BRI overland route (Kazakhstan, Russia, Belarus, Poland, Germany, Belgium and France), before crossing the English Channel to the UK. The significance of this announcement is primarily geo-political, and not at this stage, economic; but it will be. The EU may choose to ignore the significance of this connectivity project, but post-Brexit Britain arguably, may not. Consequently, questions the UK can now ask as a non-aligned state in Europe include: whether the UK will continue to support sanctions against Russia well into the future; if it shares Russia’s view of the economic benefits of a pivot to Asia; and whether the development of the principal connectivity instrument of Eurasian integration, China’s Belt and Road Initiative, is something the UK wishes to be a part of? 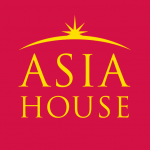 British commercial and national interests are already in play with the UK’s early support of the Asian Infrastructure Investment Bank (AIIB), and the consistent demand for financial services, advanced technology including ICT, for energy and infrastructure projects, and environmental management know-how in Chinese projects in Central Asia and the Russian Far East. In this arena, the UK is already well positioned to benefit from economic relations with Russia, and via Russia, to China. Russia’s key instrument of Eurasian connectivity appears to be the Northern Sea Route (NSR) – a potential Arctic maritime gateway connecting Asia with Europe. While the NSR is not officially on the plan and map of the BRI, it is only a matter of time before it is specified as a new path that would reroute some Chinese container shipping to Europe, and oil/gas deliveries for the Chinese market through a maritime trade route that is mostly free from potential US naval intervention. Information from leading Arctic think-tanks in China strongly suggests that this factor is partly instrumental in increasing the transport connectivity between the NSR route and the BRI framework. Some leading UK companies now see the opportunity to contribute to this infrastructure build-out of the Russian NSR and its connectivity to the Chinese BRI concept, which it should be noted is open to all-comers, not just China, or Asian countries. The UK also boasts useful soft power attributes with its expertise on the UN’s law of the sea (UNCLOS), marine finance/insurance experience, and with the further advantage of having the International Maritime Organization headquartered in London, where it has been leading the development and initiation of the new Polar Code for Arctic shipping. The commercial value and geopolitical significance of Sino-Russian cooperation regarding the value of the NSR and the development of the Russian Far East, and the latter’s role in north east Asian economic development, will hopefully not be missed by the British government. It may be the case therefore that the UK develops a dual trade policy consisting of firstly, bi-lateral ties with European Russia, centred around developing initially ‘win-win’ economic frameworks, trade agreements, social cohesiveness (civil society-type projects), and specific industry opportunities (e.g. UK/Russian joint ventures for Arctic fishing and fish processing), that can serve as both confidence-building mechanisms and economic pilot projects. Secondly, the next logical and more visionary step would be to consider the advantages of rapidly increasing connectivity and the politically-facilitated trade and investment climate in the Eurasian region, which could add significant value to the UK’s engagement with Russia in Northern Europe, but also in Russia’s Far East (RFE) where the aim is to integrate this region with development of Northeast Asia. This regional concept is to some extent dependent, maritime-wise, on the development of the Northern Sea Route, a contribution to which the UK could make via an expanded position in AIIB, and which itself could provide in time, a further economic investment vehicle in NE Asia in the postulated quadrilateral relationship. Aside from institutional investment (though a UK Fund, or via AIIB), trade could take the form of selective UK investment in the RFE region, a broader role in promoting British firms in BRI projects, and possibly applying British competitive advantages in energy projects and NSR infrastructure. For example, BP holds a 19.75 % share in Rosneft – Russia’s most dynamic and politically well- connected energy company, whose partner across Russia is the Chinese national oil corporation (CNPC) and their 270 billion long-term oil supply contract signed in 2013 – along with its newest “Bird class” shipping fleet, built in South Korea. BP’s global presence maps onto the Belt Road Initiative framework with a large presence in the Caspian Sea region, control of pipelines in the Caucasus, in the EU’s second largest refinery in Rotterdam, and offshore oil development projects in Angola and the South China Sea, etc. – i.e. spanning the strategic nerve endings of the BRI. Over time, the UK’s investment in the medium to long term development of north east Asia and its connectivity with Europe via BRI projects would provide profound commercial and political capital benefits for UK-China relations, as China’s core objectives regarding BRI connectivity, are to reach the European market, and attain enhanced security of energy supplies. While it has kept quiet on EU and US sanctions on Russia, China has both fundamental and dynamic reasons for supporting a returning Russian presence in Europe. In essence, China’s major physical connectivity initiatives in Eurasia are predicated on constructive relationships with Russia, and her allies in central Asia. China’s leadership of regional cooperative and financial organisations including the Shanghai Cooperative Organization, BRICS, AIIB, and the New Development Bank still require Russian partnership under the rubric of the global rebalancing of power against, or at least as an alternative, to the West. Chinese President Xi started his diplomatic term by choosing Moscow as his first stop in his first overseas tour in March 2013. He visited Russia a second time when he attended the G-20 Summit in St Petersburg in September 2013, from which the countries reached a framework agreement for CNPC-Gazprom to build a pipeline to supply Russian gas to China, starting in 2018. In the same month Xi rolled out the “Silk Road Economic Belt” in his Central Asia tour, and two months later, Premier Li Keqiang started upgrading Chinese economic relations with the EU via negotiations on bilateral investment regimes with Germany and France, and the initiation of railway projects with Romania, Hungary and Serbia. Using its earlier deal with the Bank of England as the template, the People’s Bank of China agreed to a bilateral swap with the European Central Bank, and Beijing subsequently injected political confidence into the EU, with an investment in the Juncker fund. The Xi government’s attention to Russia and Europe is consistent within the geostrategic framework of the BRI, and was/is aimed at opening up political and economic space for China, to offset the perceived US effort to contain China regionally, with linked agreements on TPP and TIPP – although that particular strategy does not seem to be any longer available, under President Trump. However, President Trump’s presidency has introduced significant uncertainties and risks in China’s relationship with Russia and Central Asia. The former head of Exxon, Rex Tillerson as the Secretary of State was expected to be highly motivated to open up US-Russian negotiations for post-sanction US/Russian relations. Despite current political opposition, if the US sanction were lifted, China would need a plan to obviate the potential for looser cooperation with Moscow, as the latter seizes regained access to American capital, expertise, and market dominance in the crucial energy sector. Kremlinologists have often pointed out that Putin is not comfortable with Russia’s perceived power asymmetry with China, and deems Western advances in the Caspian Sea and Chinese influence in Central Asia as significant strategic losses for Russia. As mentioned before, due to resource constraints Russia has allowed the EEU to merge with the Chinese BRI in 2015. The immediate political effect was to allow Central Asian countries to lean on Beijing for much-needed funding and projects. An American overture would lead to a cascade of strategic realignment for which Beijing must anticipate. An obvious counter question though is, what is the nature of the Sino-Russian relationship; increasingly there is evidence to support the assertion that relations are based increasingly on mutual economic and region-specific geo-political interests, and not on ideology or convenience, as is commonly suggested by the west. Who better to bring into the equation than the UK for China? Having been apparently slighted by the Chinese leaders and media in the past decade in favour of continental European ties, Britain bounced back in a major way with Xi’s feted visit in October 2015. It’s not difficult to see that in Beijing’s calculus, the UK’s improved relationship with Russia could provide a source of regional stability and a transitive link to Chinese economic interests in Europe and Asia. In conclusion, the post-Brexit context reveals an opportunity for the UK to benefit from the existing Sino-Russian relations in Eurasia and the changing interests of the US in Europe. Post-Brexit diplomacy should involve academic, corporate and societal interests in delineating a set of foreign policy objectives that is grounded in an enhanced domestic capacity to understand Russian and Chinese strategic and economic interests, in order to mediate the great power relationship(s) in the Eurasian geopolitical landscape. Dr Kun-Chin Lin is Director of the Centre for Rising Powers, University of Cambridge. Tim Reilly is a PhD candidate at the Scott Polar Research Institute, University of Cambridge and the Founder of Arctic Advisory Group, an Arctic Risk Management and Research consultancy. Image Credit: CC by Number 10/Flickr.